These activities are designed to support audio-visual capabilities of the child and the development of associative memory. Infant games are projected for using child-parent together. Rotating pictures of animals with real sounds. or cursor keys slide images, if it doesn't work, try first click into the image. Animal recognition. Building a memory link between images and sounds. By moving the mouse and clicking on the screen the child creates a colourful shapes that will disappear after some time. Mouse & Keyboard. Key SPACE changes a shape. Key Ctrl toggle fullscreen. Basics of using the mouse and keyboard. Set of toddler activities targeted for better eye-hand movements coordination and sounds and objects (like blocks, shapes and letters) recognition. Toddler games can use children and parents together or children itself. Recognize the sound and click on the picture of the animal which makes it. Clicking on the pictures of animals by a mouse. Animal recognition. Support for memory links between images and sounds. Move the mouse over all blocks with a picture of a bear and reveal the background image. Movement of the mouse. If it doesn't work, try first click into image. Use your mouse. Hand coordination, motor skills improved wrist. After pressing any key on the keyboard multicoloured letters and characters appear and they disappear after some time. Learning about letters. Using the keyboard. Click over all blocks with a picture of a bear and reveal the background image. Clicking the mouse on the panels. Using a mouse. Hands coordination, improving motor skills of a wrist. Little Piano simulates simple music instrument with basic tone scale (like a xylophopne). But there is a bit of advantages like color visualisation for all tones or a possibility to load the tone sequence (f.e. simply song shortcut) as learning example. We hope little piano will be a starting point to exploration of music basics for your child. Major scale: A S D F G H J K keys. Minor scale: W E T Y U keys. Show/Hide song input field: SPACE key. Input song/tone sequence: insert sequence, e.g. "CDD#EF#C#C.GABC", into input field and press Load . If sequence is right, then text in the field goes green and over keyboard will be show color circles with tone label and start playing parsed tones, if not then field goes red. If you want to replay sequence, press Play . Basic music skills, building links between tones and its visualisation, PC keyboard experience. Write all the letters that you know on the keyboard and reveal the background image. If it doesn't work, try first click into the image. Recognition uppercase alphabetical letters. Using the keyboard. Recognition lowercase alphabetical letters. Using the keyboard. Recognition all the cases of alphabetical letters. Using the keyboard. These games are designed to support elementary school activities like reading, writing and basic skills of mathematics. Original mixture of mathematics and simple role-playing. It's suitable for kids from 6 to 10 years for learning basic skills of math. Lead your hero throught the horde of monster, kill them by right answers, save the princess and learn the basic skills of math. The game collects number of right and wrong answers and according to the success increases or decreases player level. According the level, game is adjusts difficulty of examples. Basic level starting with addition, continues with subtraction, comparing numbers, multiplications and ending with division. Every child can enjoy the game according to its knowledge and over time attract new ones. Some monster holds a bonus, kill the monster and use the bonus in the next turn. Heart adds one life to your hero. Shield blocks next attack of the monster. 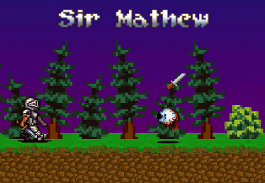 Sword takes 2 lifes of the monster in the next attack of the hero. Basic skills in mathematics like addition, subtraction, multiply, divide and number comparisons. We want to create a place where you and your kids will find games and activities promoting their knowledge and skills. Unlike the advertisements for beauty products we are not afraid to write that all games and activities have been tested on children.